Don’t miss out on a great night, tonight! 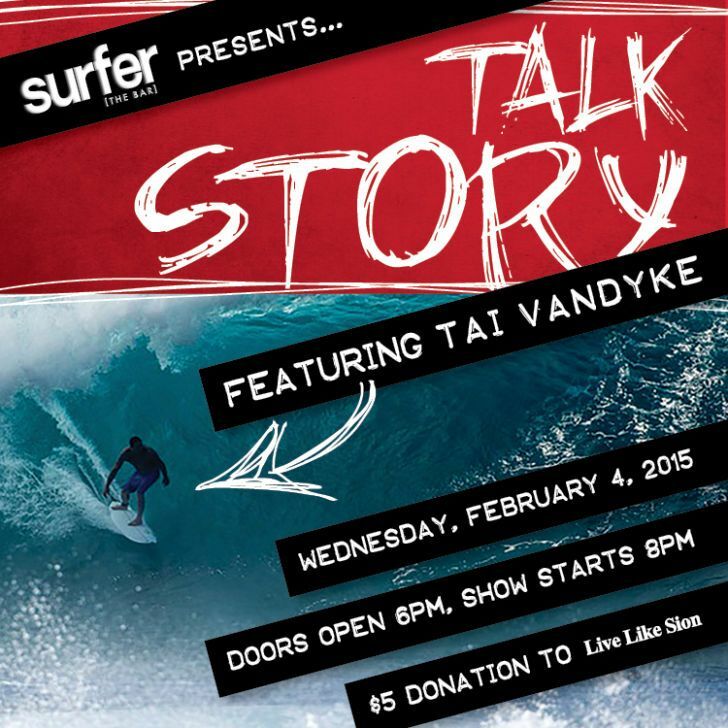 When: Wednesday, February 4, 2015 – 8:00pm to 10:00pm Where: Surfer, The Bar Talk Story with Tai Van Dyke February 4 6pm Doors Open | 8pm Show | $5 Donation BIO: Tai Van Dyke, born and raised on the island of Maui has been one of Hawaii’s top Volcom Team Riders since the 90’s, turning heads on the North Shore through his big-wave prowess and powerhouse surfing style. Lately Tai has taken on a leadership role in the Volcom family helping to manage the Hawaii Team as well as helping to manage the World Famous, most valuable Real Estate Surf Properties, “The Volcom Houses”, located front and center on the beach at Banzai Pipeline! Having been in front of the camera for most of his surfing career, Tai has more recently been experimenting on the “other side of the lens” using his ocean skills to photograph surfing here on the North Shore, especially on the famous stretch of beach between Off The Wall and Rocky Point. 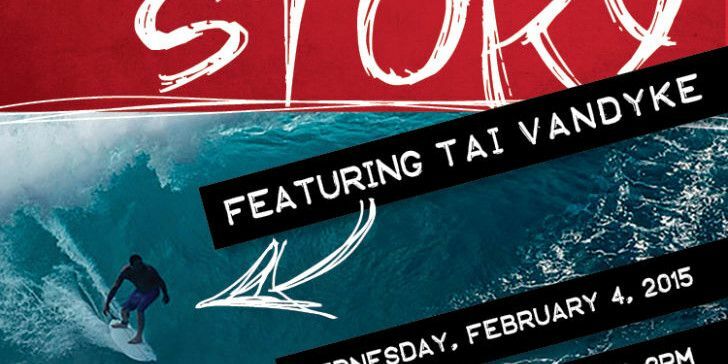 Come to Surfer The Bar for an epic Talkstory session with one of Volcom’s most dynamic and proven Team Riders on February 4th at 8pm.